Good morning, everyone! Hope you’re enjoying your week so far! 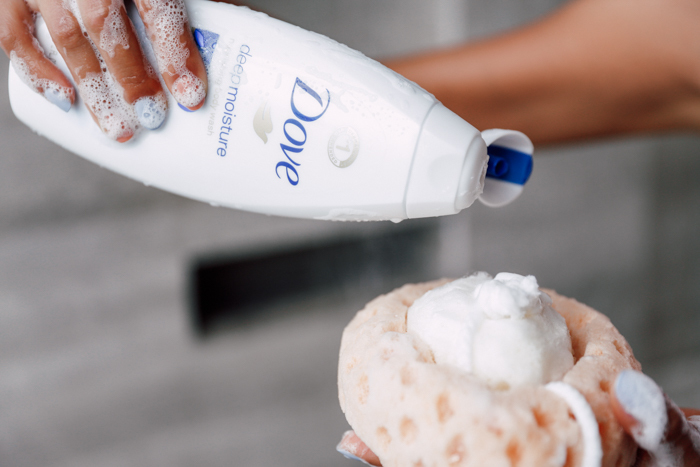 In honor of Healthy Skin Month, I’ve partnered with Dove to talk about my body-care routine. But before I get into specifics, when it comes to body-care, I firmly believe that consistency is key! 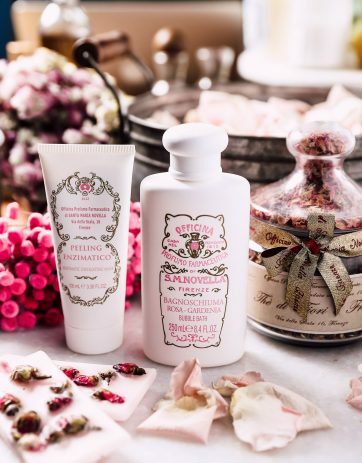 Now, I haven’t always been as diligent about body-care as I am now. In the past, I’ve let my schedule get the best of me, and let my routine slide. The result? Well, if you’ve been “blessed” with dry skin like I am, I’m pretty sure you know what happens when you don’t take care of it properly! Basically dry, flaky skin, especially around knees and elbows! When things got really extreme, I’d resort to lotions and potions, which did provide a temporary solution, but as soon as my skin started looking better, I’d get lazy again and stop taking care of it! This went on for a number of years, until I got tired of this yo-yo skin care plan and developed a routine thanks to which I’ve been dry skin free for about a year now. My current body-care routine consists of 4 key ingredients, Dove Deep Moisture Body Wash, proper diet, exercise and dry brushing, all of which are instrumental to maintaining a healthy looking skin! Using a great body wash can change your life! Seriously, if someone told me a year ago that a body wash can change the way my skin looks, I probably wouldn’t have believed them. 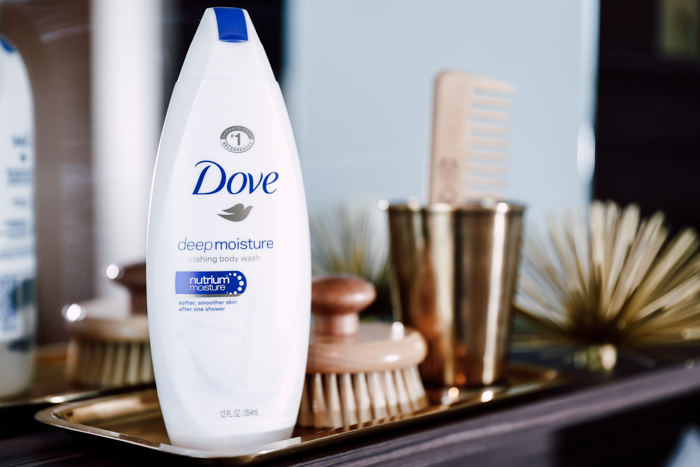 And yet, a year after I started using Dove Deep Moisture Body Wash, which just won Allure 2015 Beauty Award for best moisturizing body wash, my skin is completely transformed! From the very first time I’ve used it, I noticed that my skin felt much softer and smoother and it only got better with every subsequent use. 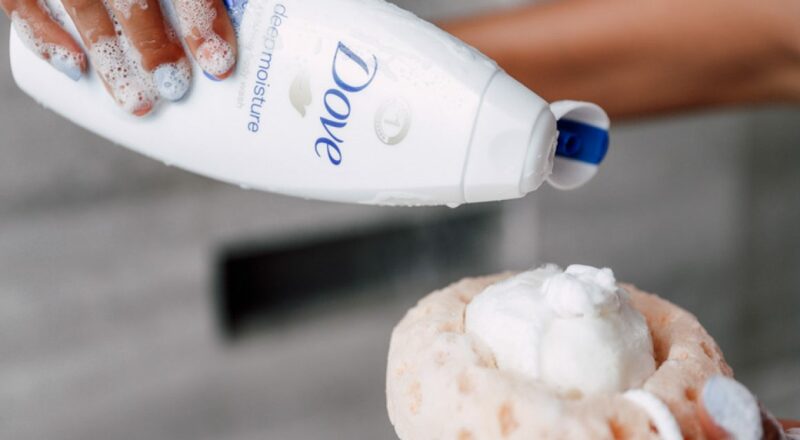 What I like about this particular product aside of course from the way it makes my skin look, is the fact that Dove takes a dual approach to healthy looking skin by repairing it also by maintaining it’s protective layer during cleansing. In short, basically an ideal solution for dry skin! You are what you eat! We hear this phrase all the time, but I’ve actually had an opportunity to test it personally and I can tell you that healthy diet is crucial! My first year of college was insane! I was in school from 8 in the morning to 8 at night and was too tired to think about proper diet! Forget fruits and vegetables, I lived on coffee, pizza and fries for weeks at a time! Not surprisingly, my bad habits took a tall on my skin! The good thing to come out of that whole experience is that I’ve learned my lesson! Now, I make sure to drink plenty of water, and eat a wide variety of fruits and vegetables! Whether it’s a fruit smoothy or yogurt with berries in the morning, acai bowl for lunch or a mandatory side of salad with dinner, for me fruits or vegetable are an essential part of every meal! Exercise and healthy skin go hand-in-hand! Obviously there are numerous reasons why one should exercise, but aside from the obvious benefits, I noticed that the more active I am, the better my skin looks! The truth is regular exercise is one of the best things you can do to keep your skin healthy! Aside from improved circulation, exercise helps to remove toxins from your body and also lower stress which is often responsible for congested skin and breakouts! Right now, I am absolutely crazy about biking, hiking and swimming! I’ve always loved being outside, so I guess it’s not that surprising that I enjoy outdoor-related sports. I also love switching things up so that I don’t get bored of my routine, which is why alternating between swimming, hiking and biking keeps things fresh and exciting for me! 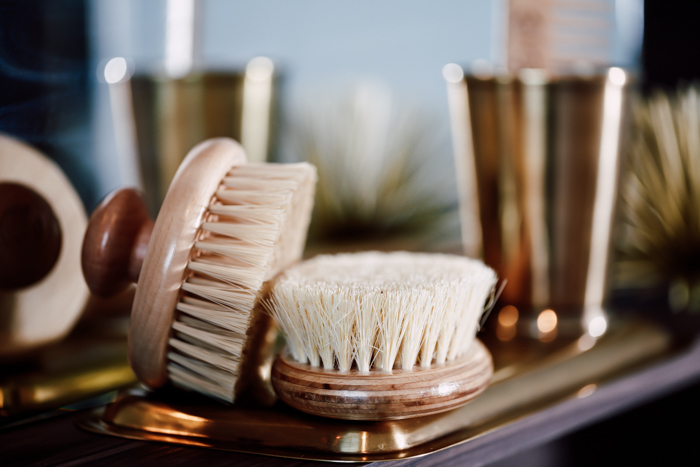 Dry brushing is a great way to exfoliate your skin and to improve circulation! 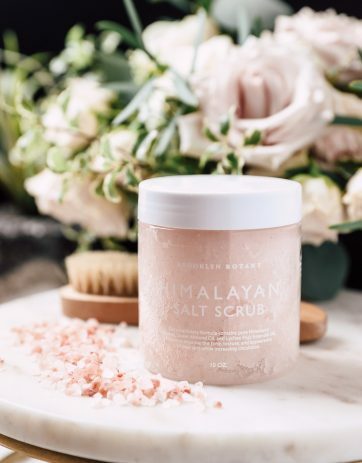 Aside from the fact that dry brushing helps to remove dead skin cells, and gently exfoliate your skin, I noticed that for me, it also helps with tone and texture of the skin. Right now, I dry brush before getting in the shower every morning. Normally, I start at the bottom of my feet and make my way up using a firm bristle brush to massage the skin in circular motion for about 10-15 minutes! Super simple practice, the results are actually visible from the very first time you dry brush, and tend to get even better with time! P.S. As always, if you guys have any questions, please feel free to email me anytime! I’ll be happy to answer! Your sunglasses are stunning. I love the color of it! And your skin is glowing and so nice! Gorgeous photos! Im obsessed with your swimsuit!! Thank you so much for your advices on skin care. I'm afraid I don't have a propert routine so I must change that from now on. Where is your swimming suit from? I see a lot of girls asked already, but it's truly stunning! Would you mind sharing the brand/store? Thanks in advance! Gorgeous pictures! Love love love that swimsuit!!!! Great tips too! in love with your one piece! Love the sunglasses! 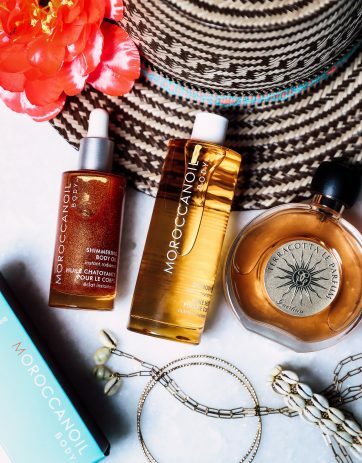 Thanks for sharing your body-care routine with us! What amazing tips you included here! dry brushing is such a great idea, definitely going to try it! also your swimsuit is perfect! Great post! Where is your body sponge from? You are seriously beautiful! your hair is gorgeous also, thanks for the post!